If a family portrait is something you have been considering for some time, we would love to hear from you. The thought of planing for portraits can feel overwhelming when you are constantly chasing your small ones around but I promise you it will be worth it! Let us do the chasing and use our expertise to create lasting memories of your cherished loved ones! 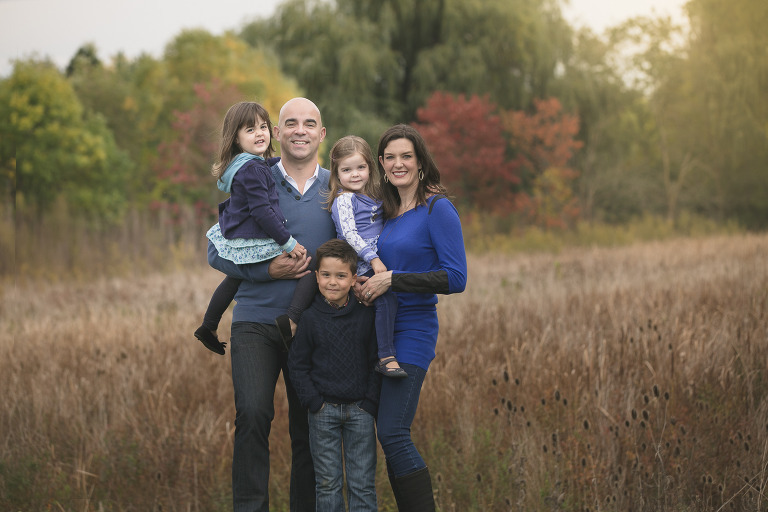 Family sessions are based on one family unit. Please contact the studio for information regarding extended family sessions. It is recommended you contact the studio a few weeks in advance to discuss and plan your Family Portrait Session (Especially during the busy Fall season). Weekends book very quickly so don't hesitate to book sooner than later. Your wardrobe is your personal style and I recommend choosing clothing based on the time of year and location. Think about what you would like the for the outcome of your images; causal, dressy or bold – your hearts desire! Sessions can be held in my Halton Hills Studio, or an outdoor location of your choice. Session Fee is required to book your session. Paypal, E-trasfter and checks are all accepted.